Cisco's 5G Now! makes a splash at Mobile World Congress. Cisco just announced 5G Now!, a portfolio for service providers who are ready and prepared for 5G tech. 5G, the fifth-generation wireless broadband, is tech that will be faster and will cover more than 4G for mobile devices. The company announced this at the 2018 Mobile World Congress conference in Barcelona, joining this year's mobile conversation of wireless, artificial intelligence, dual cameras, and more. Many are aware that 5G technology is right around the corner, with several radio vendors shipping 5G radios this year— Cisco's 5G Now! is everything service providers and mobile operators need to be ready for this big change. The company is working with more than 20 network operators to bring 5G Now! to life. 5G Now! is focused on three main things; services, infrastructure and automation. Cisco can help plan for new services, map the right 5G infrastructure, and manage simple network scaling for 5G. The portfolio includes 5G support in the multi-cloud, IP Core, Cisco Ultra Services Platform, Cisco Policy Suite, NCS 500 Series Access Router, Cisco Crosswork automation, and more. In terms of security, Cisco Security for 5G includes the ability to quickly identify and remove threats. Light Reading spoke with Senior Vice President of Cisco's Service Provider Business, Yvette Kanouff about this new change in mobility. "4G was about buying connectivity, and 5G is about buying experiences," says Kanouff, "5G creates a new environment for service creation, giving operators what they need to deliver next-level entertainment experiences. Only Cisco has the services, infrastructure and automation portfolio to support our global customers with their 5G initiatives." Cisco is calling on mobile operators to prepare for the near future by investing in the company's new infrastructure and automation tools. Those who are ready or want to learn more, click here. From keynotes to 5G—the biggest news from the conference. Cisco shows us the future of the mobile industry. 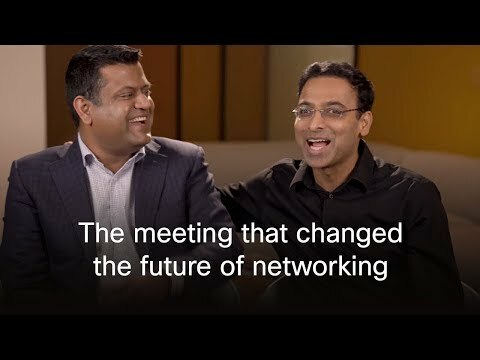 How Cisco is helping push the technology forward.